After visiting World Land Trust’s (WLT) project areas in Caribbean Guatemala last year, WLT Deputy Director of Communications and Development Dan Bradbury reflects on the important work of WLT’s partner Foundation for Eco-development and Conservation (FUNDAECO) in light of the new Treasure Chest Appeal to save Sierra Santa Cruz. In my opinion, WLT’s long-standing relationships with local NGOs are the most important element to every project that WLT funds and supports. Our work can only be carried out if we have a strong working relationship with a network of trusted and knowledgeable partners. WLT were originally introduced to the General Director of FUNDAECO Marco Cerezo back in 2006, by WLT’s long-standing operational partner IUCN National Committee of the Netherlands (IUCN NL). 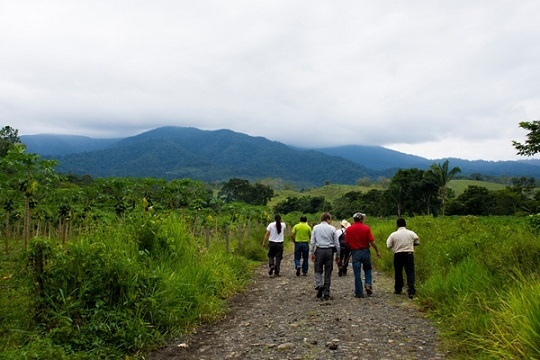 WLT and FUNDAECO became official partners in 2008 following an application for funding for a land purchase in Caribbean Guatemala, which was completed the following year. I got know the team in FUNDAECO during my visit last year, spending time not only in the main city office but also in the field office in Livingston. As a group of people, they are extremely knowledgeable and passionate about their projects, the wildlife and Guatemala itself. As with many of WLT’s partners, the areas they work in are under pressures of many different kinds, from agriculture and development to policy makers. The way FUNDAECO have faced these challenges is by developing relationships, which has created a strong network involving all parties and enables them to work successfully. 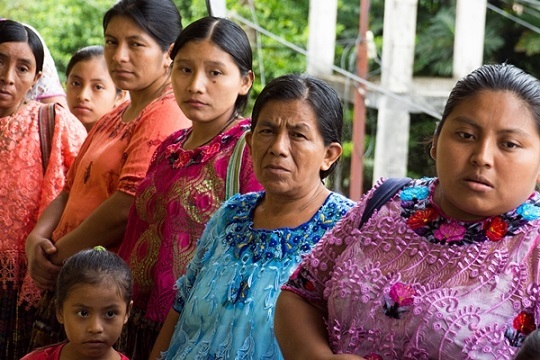 ​There are many threats to the rich and varied habitats in Guatemala. A combination of population growth and agricultural expansion has led to 60 per cent of the tropical forest in the western Highlands vanishing and the threats to Caribbean Guatemala are just as devastating. The combination of cattle ranching, palm oil and illegal logging has led to the loss of around 80 per cent of the forest in this region. 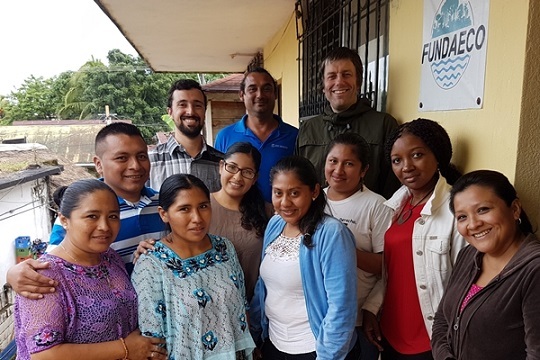 The focus of my trip was the Caribbean coast, where FUNDAECO have been working for 25 years in the department of Izabal. Here, they have created a network of protected areas that they now help maintain and support. WLT have supported FUNDAECO’s land protection in Caribbean Guatemala by funding the purchase of 1,668 acres (675 hectares) for the Laguna Grande Sarstún Reserve and subsequently 816 acres (330 hectares) of FUNDAECO’s 1,674 acre (677 hectare) reserve Tapon Creek. They are both similar in that they an interesting network of lagoons, mangroves, flooded forest, lowland and mountain forest, which are extremely rich with wildlife. WLT’s latest appeal to save 2,500 acres (1,000 hectares) of tropical rainforest in Sierra Santa Cruz would a be continuation of our support. As with all FUNDAECO’s work there is a big emphasis on community engagement. Both of the above projects have provided opportunities for the local Q’eqchi communities located near the protected area; FUNDAECO work with Q’eqchí women to develop eco-tourism opportunities and with local fishermen to develop sustainable livelihoods. I believe whether it is through consultation, participation or empowerment, community involvement is the key to the success of FUNDAECO. Every project has been developed so it will also provide support and opportunities to people in the area. This is another key reason we at WLT value the relationship with FUNDAECO, because this very much fits with our beliefs. There are a wide range of projects in the area that range from REDD+ programmes and forestry protection incentives through to an incredibly important project relating to sexual and reproductive health for women in rural communities. FUNDAECO also have the longest continuously running bird ringing and monitoring programme in Latin America. This programme has been running for 18 years and has enabled FUNDAECO to build up a good understanding of bird species in the area, along with highlighting the importance of area for migratory birds traveling through the America’s. During my time in Guatemala, I went to see the Sierra Santa Cruz project and saw first-hand how important it is that we act now to protect this area. This is not only very beautiful part of the world, but it’s also a very important area for wildlife. The forests provide vital habitat for migratory birds and is an important part of a flyway, for not only the smaller species, but also the large raptors too. It is also hugely important for reptiles and amphibians, which are good indicators of the health in the area. However, the encroachment from people through settlement and agriculture is very clear to see and there is a real potential that this could all be lost without support.